The Scout lockback design from Ulrich Look was introduced some 30 years ago and is still a popular Boker model, defying the typical knife life-cycle. 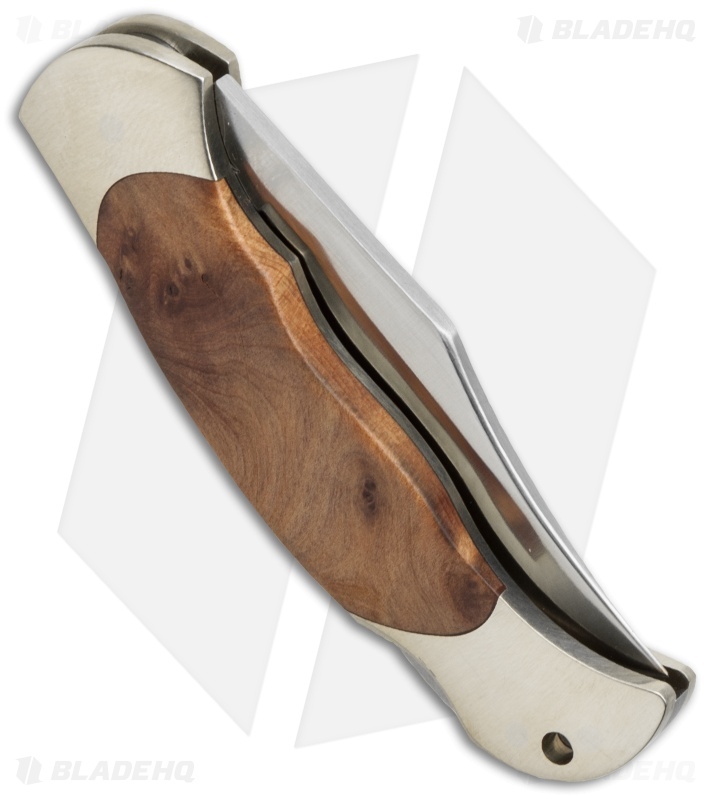 The Boy Scout follows the design of the original, but in an even smaller, more pocket-friendly size. 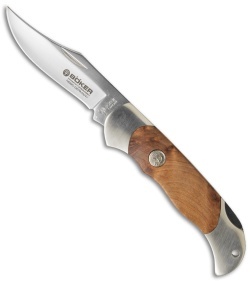 It features a premium Bohler N690 steel blade and a nickel silver bolstered handle with thuya wood scales. A premium leather sheath is available for the Boker Boy Scout pocket knife (sold separately).